The Government is committed to halving the disability employment gap. This is particularly pertinent for people who have autism, with only 15% currently in full-time employment. Many people with autism have specific skills and talents - which means that organisations are missing out. At the same time, we are committed to making the Civil Service an outstanding employer of people with disabilities. The Autism Work Insight Programme, which ran from 27 June to 8 July, is part of the Civil Service’s contribution to these goals. 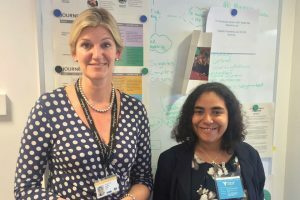 This year’s programme offered two-week work experience placements for ten young people with autism in five government departments: the former Business department, Transport, Work & Pensions (DWP), HMRC and Education. Students worked in a variety of interesting roles aligned to their career aspirations, whether developing policy on aviation, doing data analysis, providing administrative support or providing extra insight through an autism lens to support the work of the Special Educational Needs and Disability Unit. The programme is run in partnership with the charity Ambitious About Autism, which helps to identify suitable students aged 18 to 24 and provide autism awareness training for line managers and teams hosting the students. As well as work experience, students received formal training delivered by Civil Service Resourcing, including in networking skills and selection skills, and one-to-one coaching. 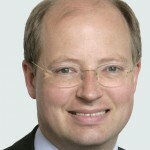 Host departments organised additional complementary activities, such as arranging for the students in DWP to meet Justin Tomlinson, then Minister for Disabled People, and tour the Palace of Westminster. The students described the programme as “awe-inspiring” and “energising”, with everyone reporting increased confidence from “feeling able to fit in”. All students said they would consider a career in the Civil Service. The calibre and commitment of the students was high, as illustrated by one of the students, Jonathan Andrews, who is studying law at university. He received a citizenship award for business during the programme. Line managers described others such as Charlotte Pocknall as a “joy to have working with us”. Her enthusiasm, energy and commitment were really infectious”. I had the privilege of meeting two of the students hosted here in DfT, and both were really impressive. Host departments benefited from increased awareness of how to support colleagues and customers with autism. Taking part in this scheme really made me think about how I work and communicate. If we are serious about diversity and inclusion, we must consider how we understand autism and reflect that understanding in the way we operate, both as employers and individuals. If anyone would like more information on the programme, please contact me at disability.champion@dft.gsi.gov.uk. Many of you will have attended a Civil Service Live event in one of the five locations across the country. 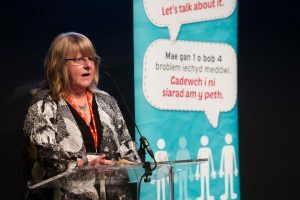 I was delighted to speak at the Mental Health Awareness session in Cardiff and was blown away on listening to two fantastic keynote speakers: Sue Northcott, from DVLA, and Lisa Stokes, from Principality Building Society, both Time to Change Wales Champions, who talked openly and movingly about their own mental health experiences. You can read Sue’s blog on the Time to Change website here. They are both inspirational, and really brought home the importance of role models in helping to break the stigma of mental illness. It was also great to see the profile being given to the new Civil Service Workplace Adjustment Service in Cardiff, Glasgow and elsewhere. We could see specialist equipment on display such as a one-handed keyboard, and hear about other elements of the service, including softer adjustments, the Workplace Adjustment passport and the review route. Check these links if you want to learn more! And well done to the Civil Service for winning three categories at the 2016 Employers Network for Equality & Inclusion [ENEI] Awards: Public Sector Employer of the year, Inclusive Culture and Excellence in Training. 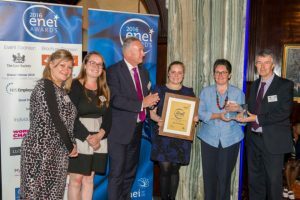 ENEI Awards recognise the commitment of organisations in achieving diverse and inclusive workplaces and celebrates the teams and individuals who are really making a difference. We clearly have more to do in the diversity and inclusion space, but these awards, against stiff competition from leading public and private sector organisations, show that we are making progress. Finally, for those of you about to take your summer leave, I wish you all a well-earned break and hope that the recent warm weather continues. I read this with much interest and applaud the intiative being rolled out. I was particuarly interested from a personal perspective, as i have hidden disabilities, which frankly, has stunted my caeer prospects and job opportunities. Despite having a degree and jumped all the educational hoops and barriers. I also know what it is like to suffer discrimination as well. Being turned down for jobs and being bullied in the workplace environment. So reading of this scheme was much welcomed. It really does give disabled people a fighting chance to play on the same field as non disabled employees, and have at least a chance of getting one's foot in the door. Can we have more of this please!!! Thank you for a very informative blog. As a member of the FCO Staff Association: Wellbeing Network we seek to promote greater awareness and understanding of mental health related issues. We commend Sue Northcott for her willingness to be open about the challenges that she faced and how she was able to overcome them. We also commend the students on the Autism Work Insight programme and for those who help them to make it an enjoyable experience. Diversity and Inclusion is achievable!